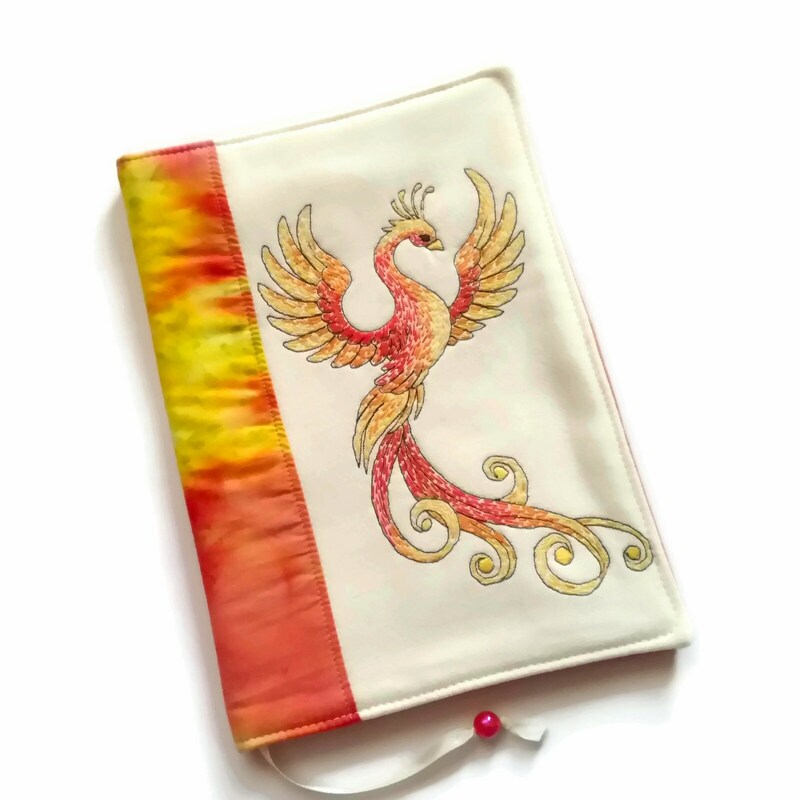 Bright handmade fabric book cover with hand embroidered red orange fire Phoenix made of cotton fabrics in fiery colors. This fantasy diary cover is machine-sewn and hand stitched. All the different colors on the phoenix are hand embroidered.